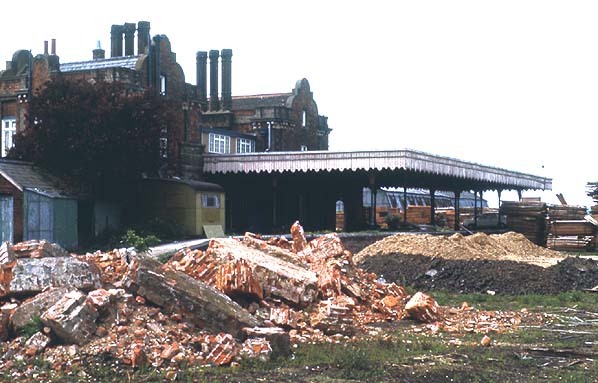 Present state: The main station building survives as an office. 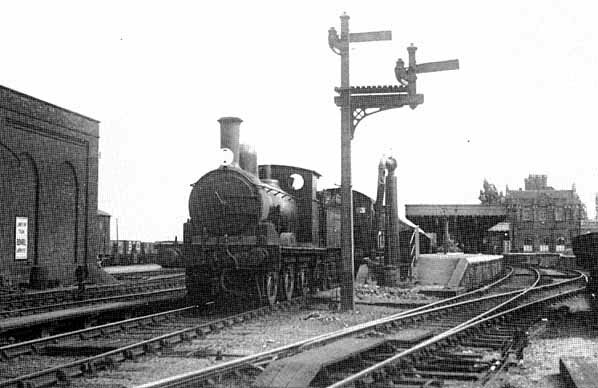 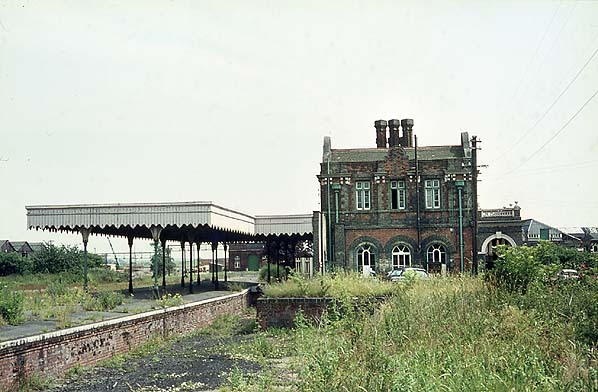 Notes: The station was opened as Maldon, it was renamed Maldon East on 1.10.1889 and Maldon East & Heybridge on 1.10.1907. 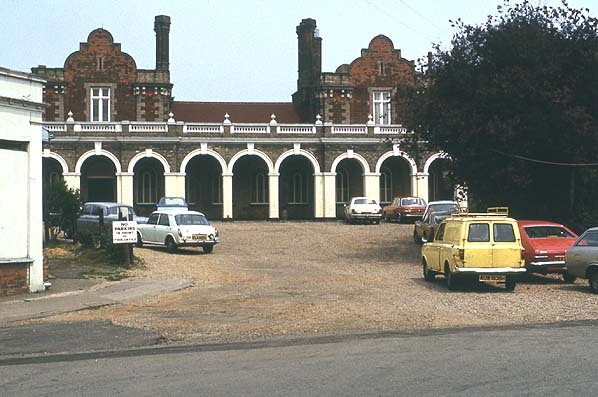 Photo:The station forecourt in 1971 - compare this to the same picture below taken in 2004, only the cars have changed.